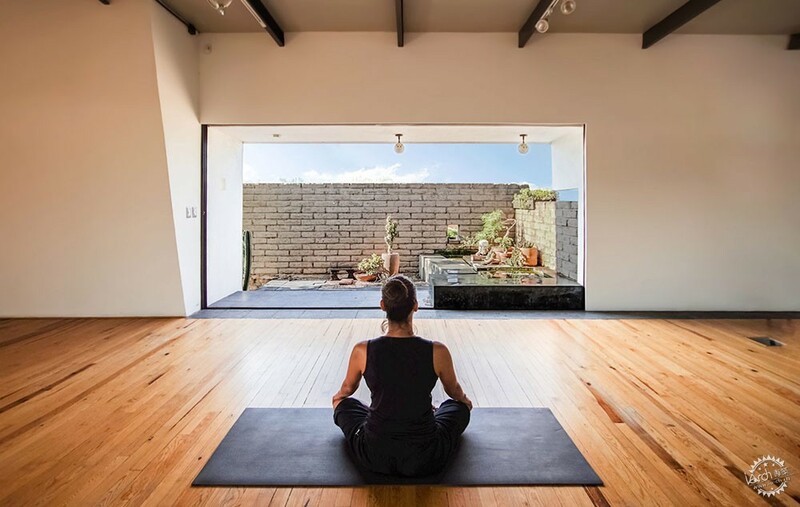 Architect Jorge Ramírez has preserved an old fruit tree, tired mud walls, and decorative archways in his family's 1930s home in Aguascalientes, Mexico, and then added a white yoga studio on top. 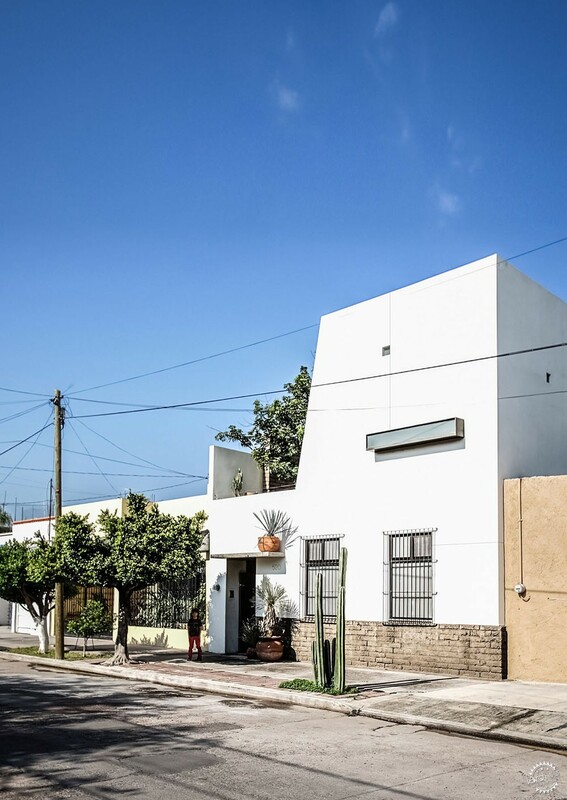 Ramírez, who is also a multidisciplinary artist, transformed the "small and old" residence in the central Mexican city. 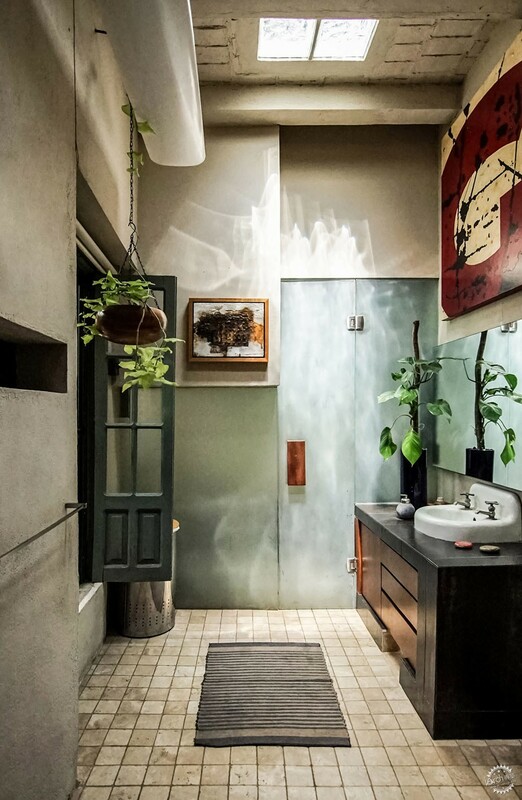 Completed in the 1930s, the original one-storey property is an example of neocolonial architecture – a revival of the 17th-century colonial style. 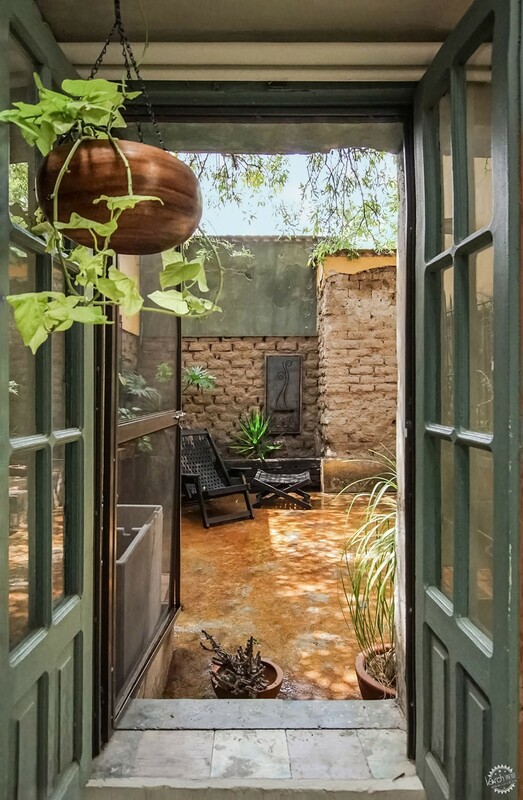 Having already lived there for 10 years, Ramírez aimed to keep the existing details of the one-storey-high family home in tact, such as weathered mud-brick walls, and crumbling render and brickwork. 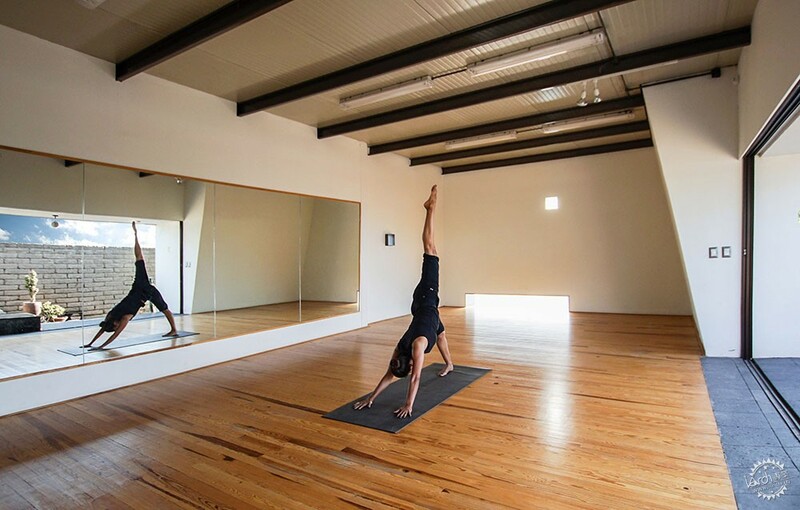 The extension is a distinct white volume placed over the top, to create a yoga studio for himself and his wife to practice. The layering of structures is similar to how the Aztecs built their ancient pyramids in the city, Ramírez told Dezeen. 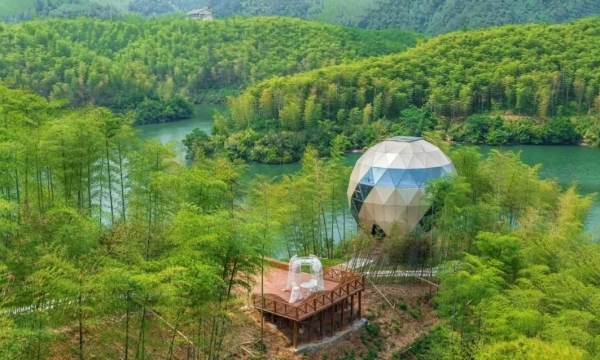 "As well as the ancient pyramids, where the new structure was built over the previous one, leaving it drowned inside, a respectful envelope for the neocolonial house was designed," he said. 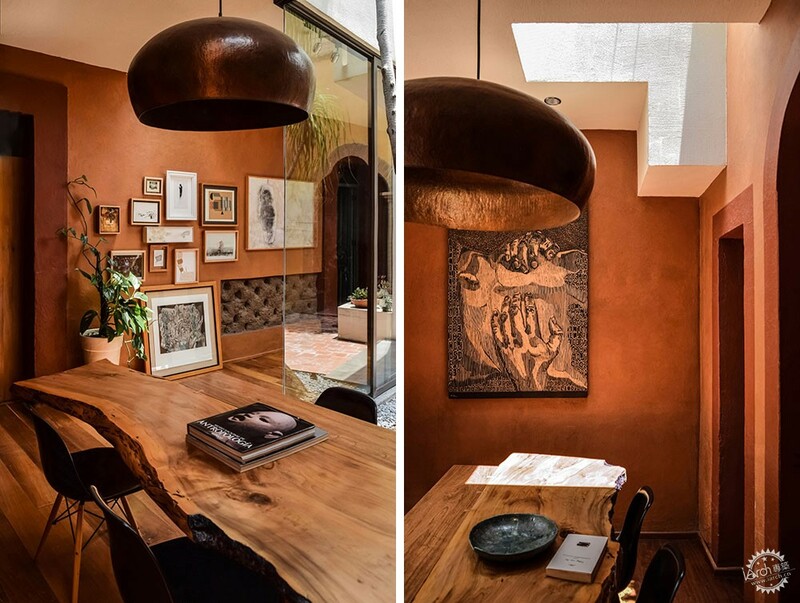 "The expansion delicately shelters and exhibits the original forms, elements and materials," Ramírez added. "Each one of the constructive stages is clearly established." The white-rendered addition envelopes the front of the residence with brickwork left exposed on the base. 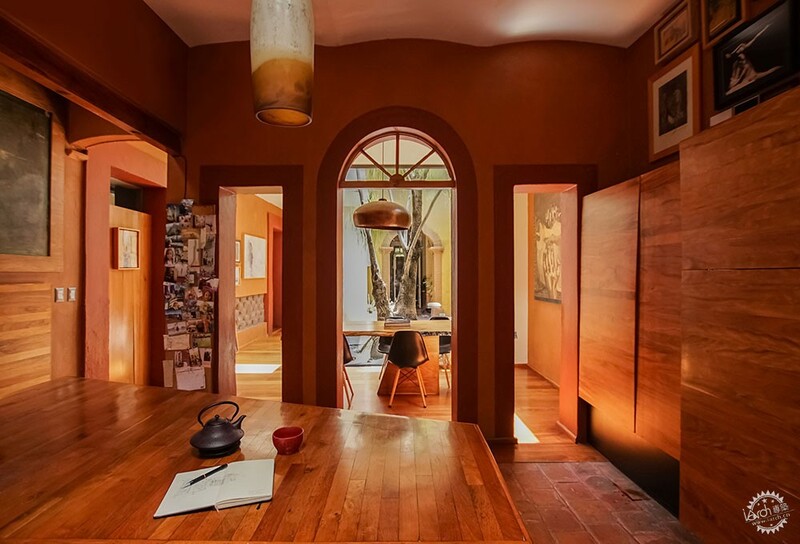 It has two windows on the ground floor that offer light into twin bedrooms for the architect's children, while a slender protruding window and a tiny opening illuminate the studio. In the extension, a small yard is located at the front of the residence. 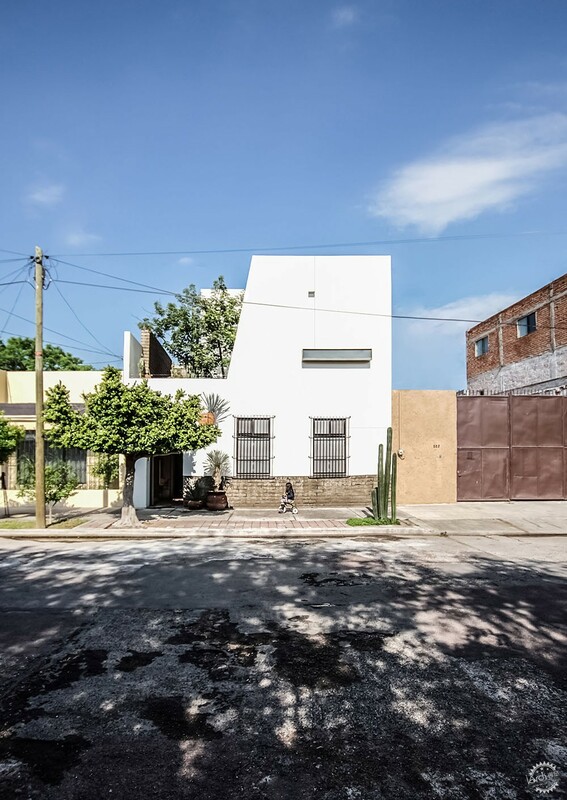 A ceiba tree that grows here is visible from the street, and gives the house its name. A rough stone spiral staircase twists up beside the tree to lead to the new upper space. 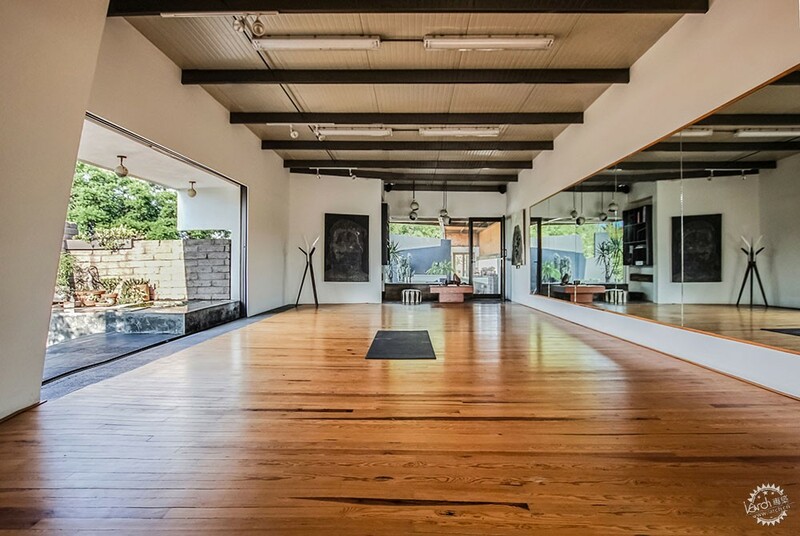 Large glass doors open from the yoga studio onto a terrace, which features gravel flooring and a small pool. 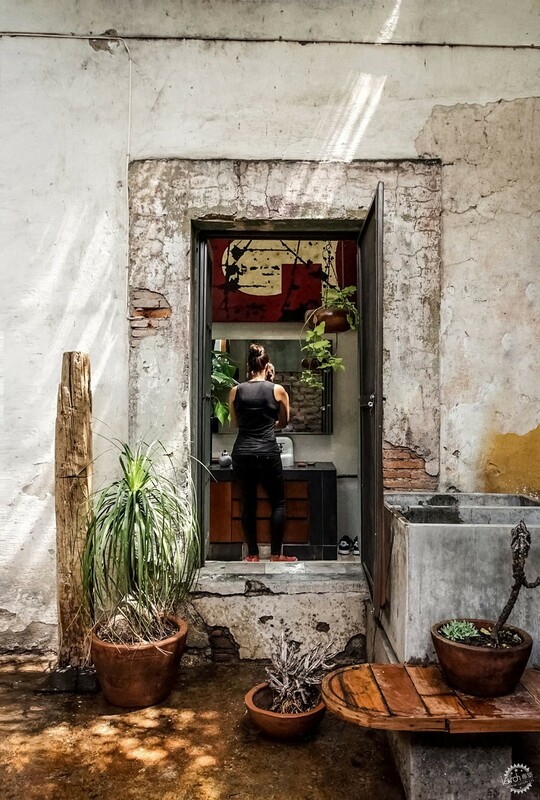 Thick adobe walls – a mud-based construction – provide the backdrop. 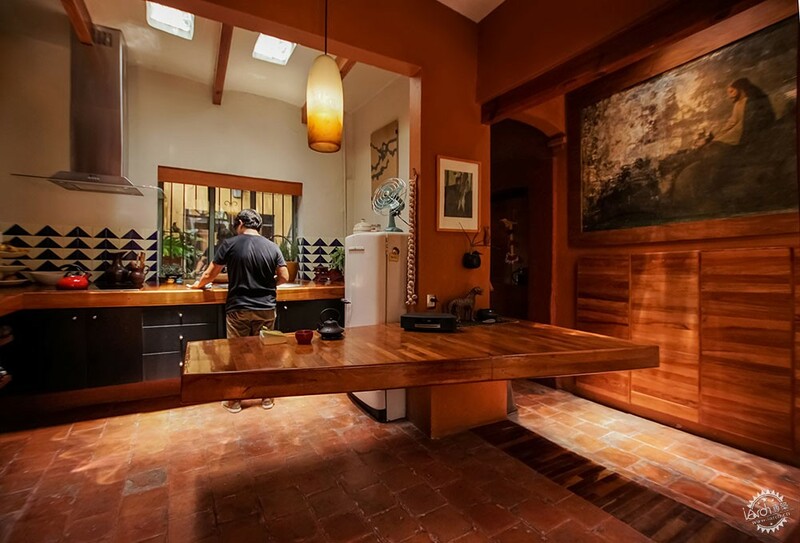 The rest of Ceiba House is accessed from the small open-air space at the front. The original front door leads from here into the original hallway, and then onto a second courtyard. 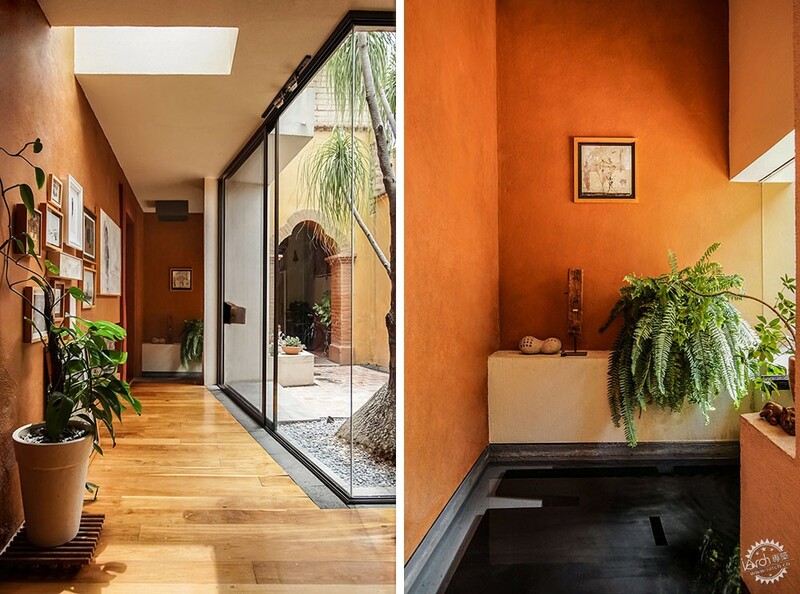 New glass walls enclose this area, which is completed with a large beaucarnea plant and an exposed water tank, which Ramírez added as a reference to ancient Islamic cisterns. 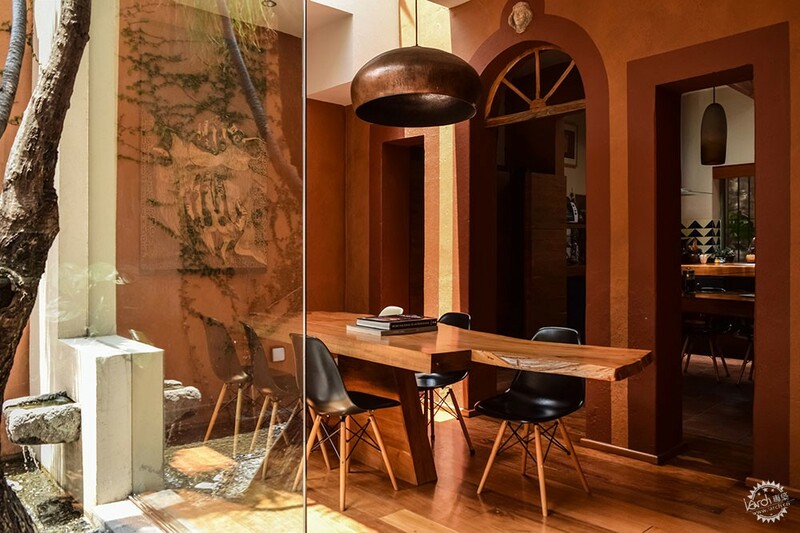 Large glass walls contrast the existing decor, like the painted three-pointed archway, and slide open onto the kitchen and dining room inside. 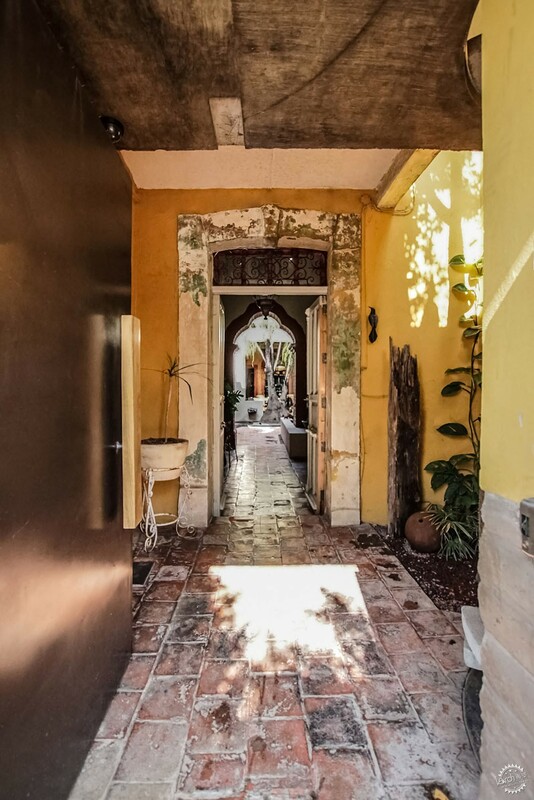 A slender hallway leads past the kitchen to the third, larger courtyard, featuring peeling and cracked rendered walls, and a huge sapote fruit tree that rises from a circular brickwork plant pot. 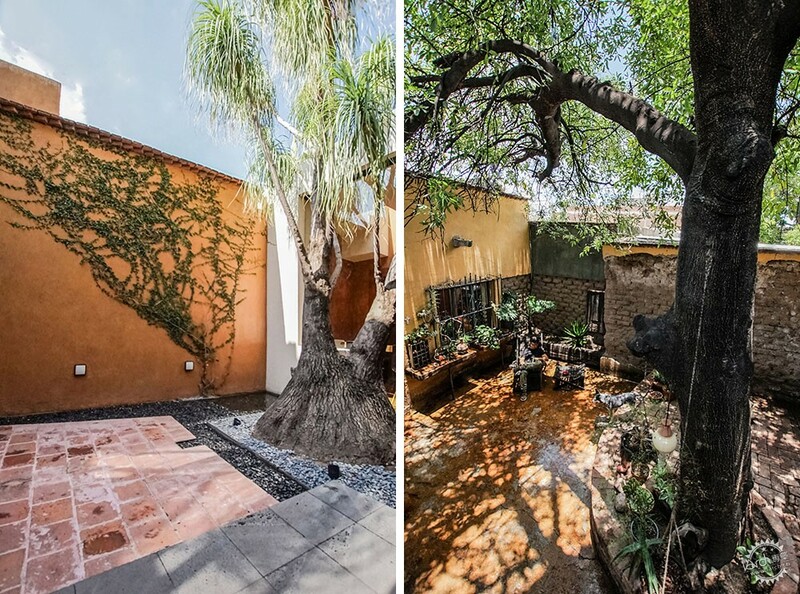 Similarly, a mesquite tree serves as focal point for a home by designed by BAG Arquitectura, and also in Aguascalientes. 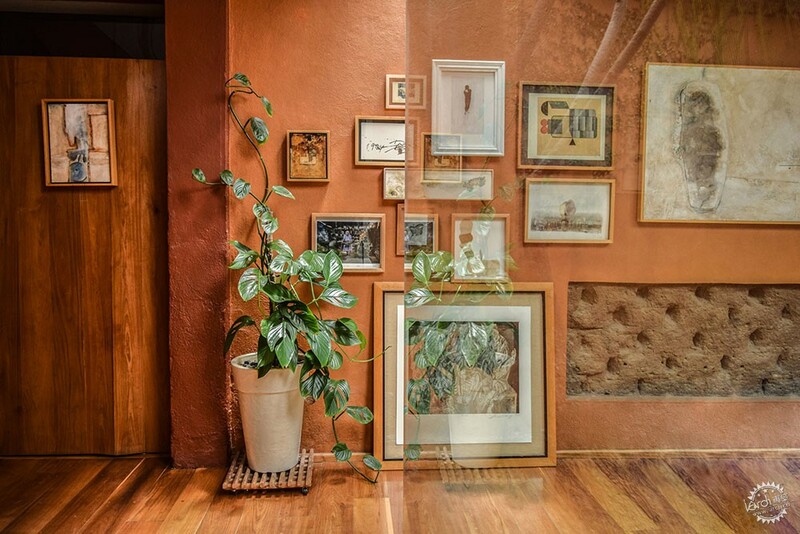 In Ceiba House, the tree is set in front of a big window fronting Ramírez's studio. 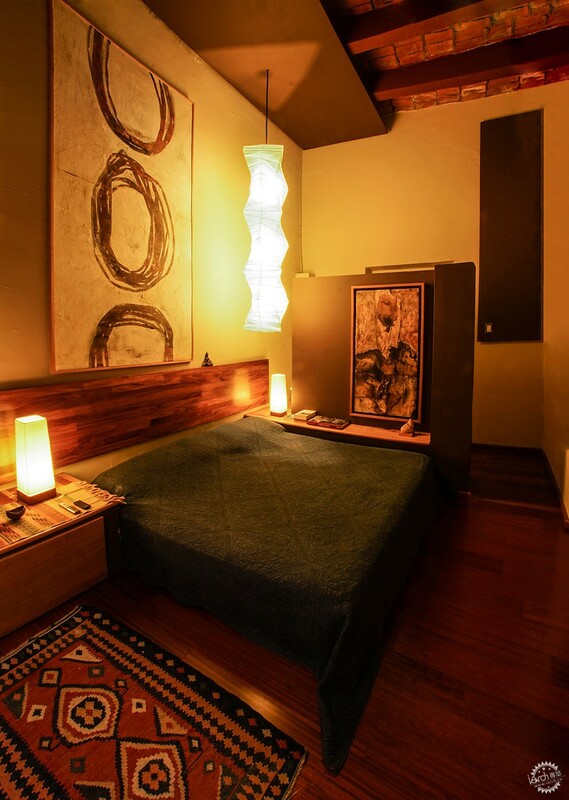 Other accommodation on the ground floor includes the master bedroom suite and a living room, which are arranged to run along one side of the existing building. 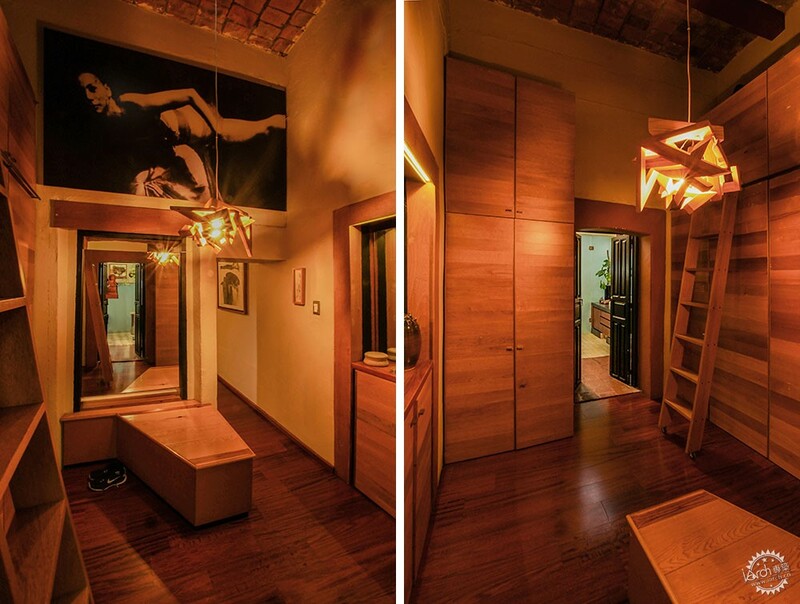 Twin bedrooms occupy the lower level of the new portion at the front. To finish the interiors, a rich palette of warm, dark woods, bright paint, and plenty of greenery offsets the worn-out details. 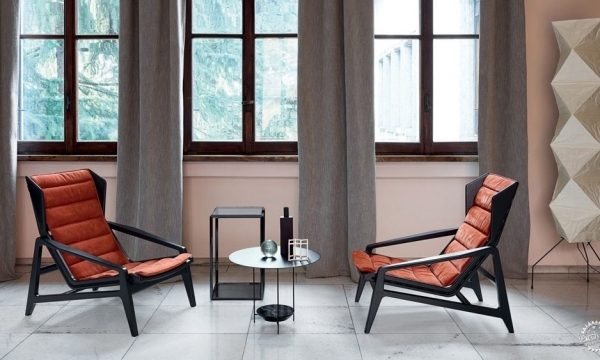 Ramírez likens the simplicity of the project to the work of celebrated Mexican architect Luis Barragán. 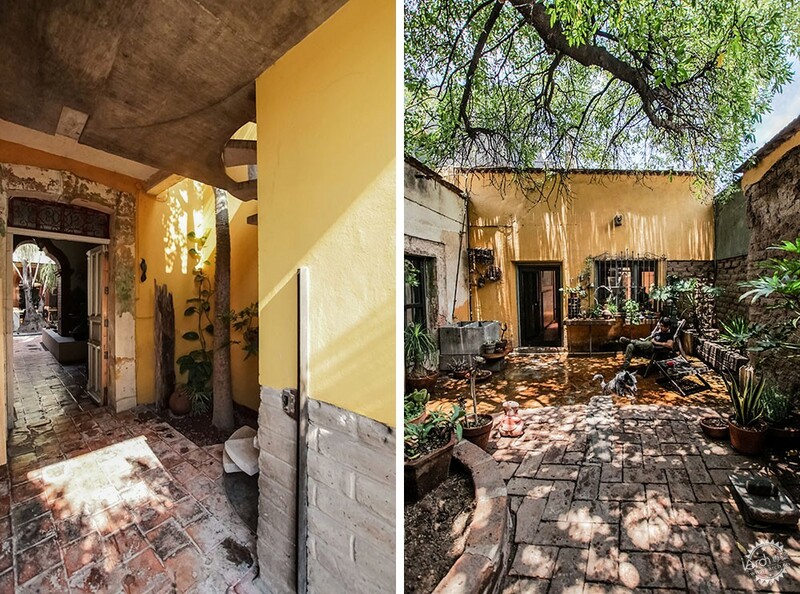 "Ceiba House keeps away from the great formal pretensions and exaggerations to which most architects are given, its simple facade and a refined interior design full of symbolism, vegetation and intimate spaces, bring back at times those words that Luis Barragán warned were being forgotten by the architects: beauty, inspiration, magic, spellbound, enchantment, serenity, silence, intimacy and amazement," he said. 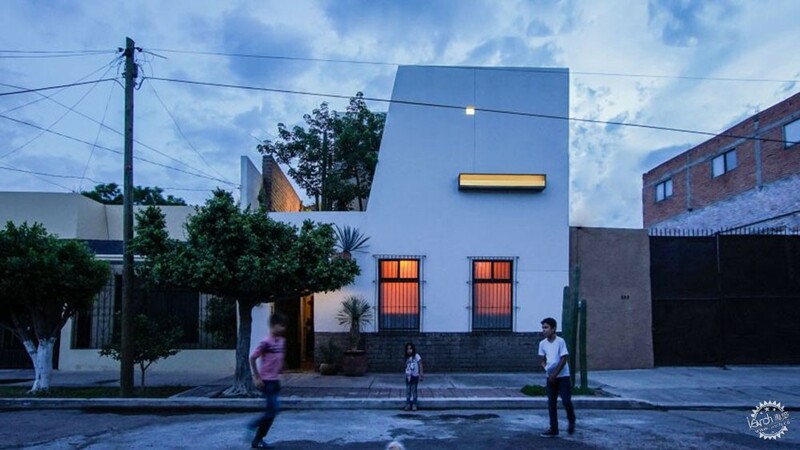 Mexico's architecture went from strength to strength this year, as featured in our review of 2018. 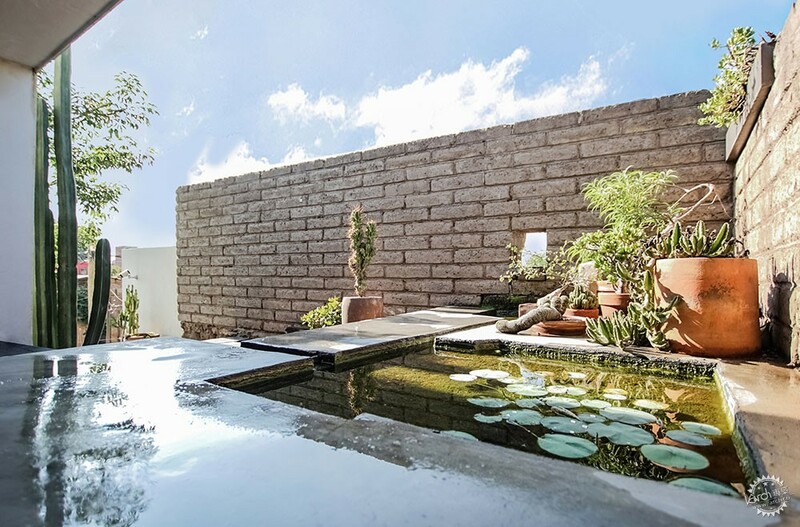 Standout residential projects included a house made of board-marked concrete blocks and a property featuring a secluded swimming pool. 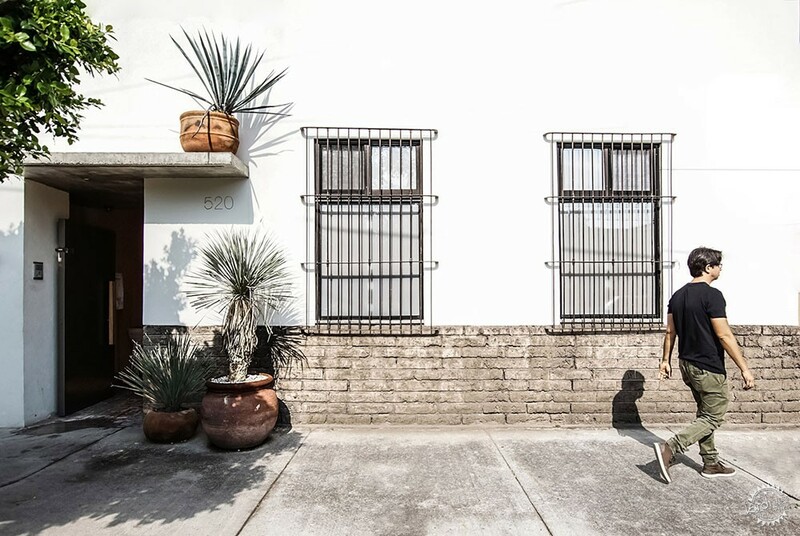 Photography is by Paulina Ojeda.